Cold root rolling increases fatigue life, strengthens rotary shouldered connections — and yes, saves money. Overall, it creates a superior product with a longer life. 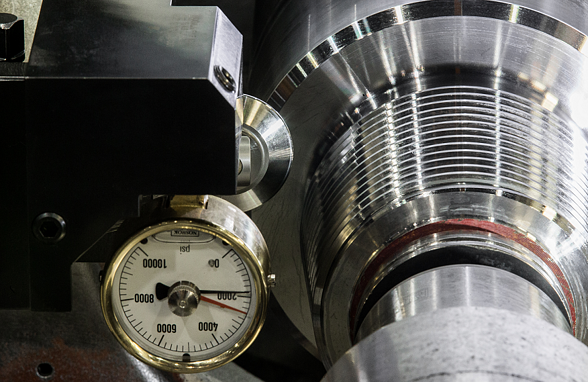 The team at Wenzel Downhole Tools found cold root rolling to be in such high demand that they had to outsource in order to meet customer requirements — at an annual cost of nearly $200,000. — Outsourcing services were costly, not to mention additional transportation costs for every part. — Outsourcing was slow and came with long lead times, making it difficult to uphold Wenzel's standards of customer service. The solution for this team was clear: bring cold root rolling in house and build more internal capacity. Eliminate the need for outsourcing by adding the process to the company’s list of dedicated services — CJWinter’s tools were compatible, in fact, with equipment they already had. But they needed tools that could do more than that — they had to cut costs and perform with simple operation in addition to their compatibility for existing systems. CJWinter answered with tools that hit every mark. The tools we selected—from the 11070 and 11072 lines—were user friendly, reasonably priced and fully supported by CJWinter’s engineering team, who helped install the equipment on-site. They trained the staff and have offered continued support for the tools, which have already saved Wenzel significant resources. The details of the tools and specific machining solution for the company, as well as the benefits and savings from the project, are available in the full case study. Read it today to learn more, or contact the team to find out how they can help with your next project.